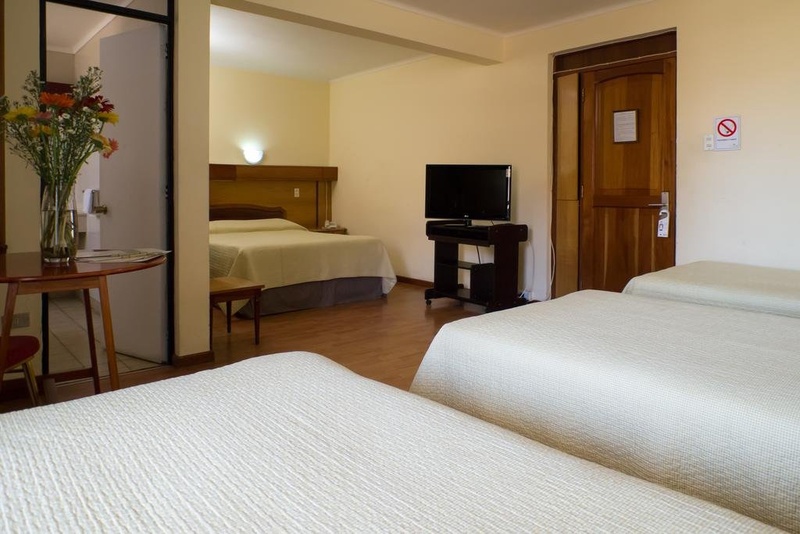 Located in the downtown area of Arica, Amaru Hotel is 250 meters from the Museum of the Sea of Arica, 550 m from Plaza Vicuña Mackenna and 18.5 km from Chacalutta International Airport. It offers a business center and free Wi-Fi. The rooms have safes, cable TV and a desk, and a private bathroom with shower amenities. Among the facilities available are meeting room, free parking and laundry service for a fee, plus 24 hours reception guests tour assistance. A regional restaurant with room service serves daily breakfast included in the rate, with a variety of breads, fruits and beverages. Hotel Amaru is located 950 meters from Brasil Park, 3 km from Playa La Lisera and 3.5 km from the hill of Cristo de la Concordia. Wifi works perfectly. Wifi did not work. Lot of external noise. A lot of noise. Stained bed.